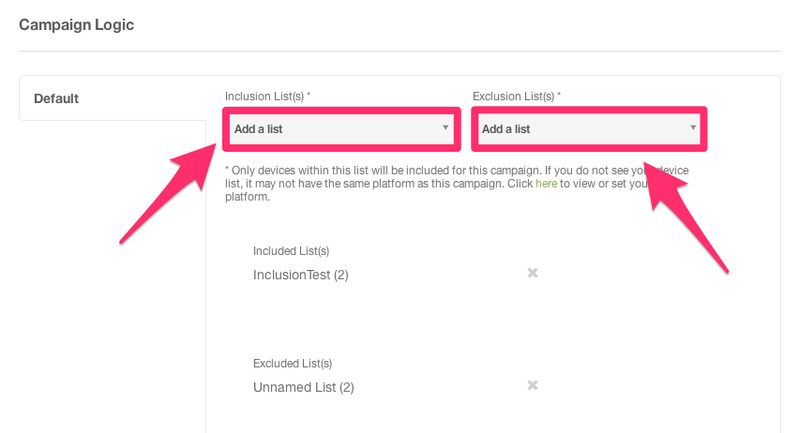 Inclusion Lists let you target a group of individual devices. Any device not in the inclusion list will not be served an interstitial or video. Exclusion Lists let you block a group of individual devices. Any device in this list will not be served an interstitial or video. 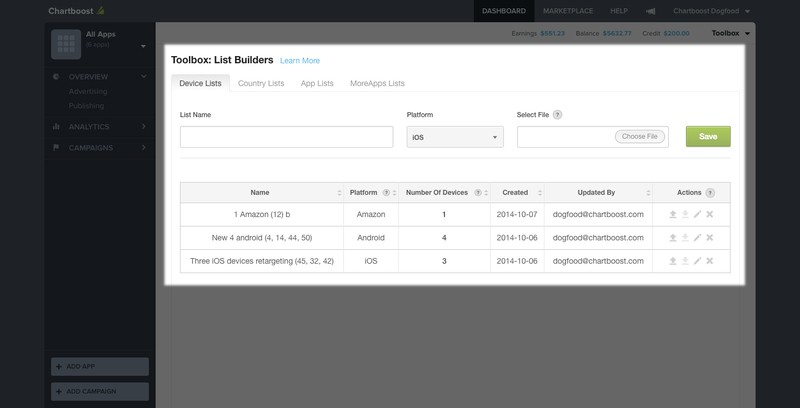 Leverage our Device List Builder to easily upload and manage your lists. See the section below for additional details. 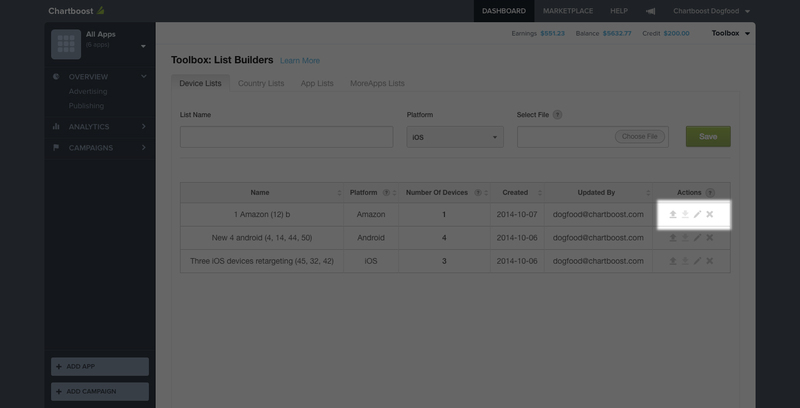 Enter a name for the list and pick iOS, Android, or Amazon from the Platform dropdown. You’ll need to create separate device lists for each platform, since an individual list can only contain one type of device identifier (you can, though, upload Android lists that include both GAIDs and Android IDs).